Are you headed to Identiverse 2018 (formerly Cloud Identity Summit) in Boston this June? 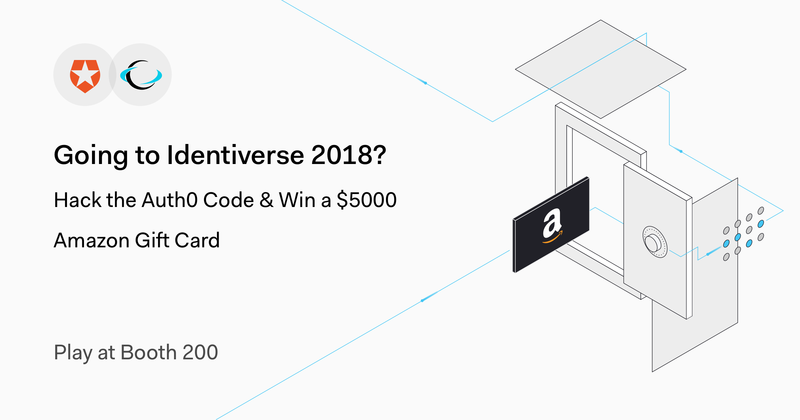 If so, you’ll have a chance to win a $5,000 Amazon Gift Card when you drop by Auth0 Booth (#200). We’ll also be presenting in 5 sessions at the conference, including a special session by our customer ATB Financial on Monday at 3:50 pm —The Critical Role of Identity in CX for ATB Financial. Waited a bit on registering for Identiverse? Don’t worry, we’ve got you. If you haven’t already signed up, you can get a 20% discount on your pass using the Auth0 code: AUTH018. And if you’d like to try for a free full conference pass, simply share this before May 31 on Linkedin or Twitter and we’ll enter you to win.